I must admit, I am a fan of the show Glee. Not so much because I think it has a great story line (it can get pretty cheesy and ridiculous at times), but because I love music and I love the music on the show. In fact, I oftentimes like their rendition of a song better than the original. The show's musical style really fits my fancy. 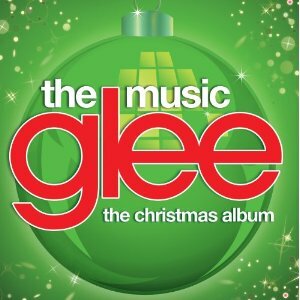 Hence, I absolutely had to buy this year's Glee Christmas CD the moment I heard about it. I have listened to it on constant repeat in my car ever since my purchase. It's a pretty spectacular CD. There are a few songs I could do without, but those are overshadowed by the wonderfulness the others. The harmony on the album is amazing, and they added some great little Glee quirks to each track. I have not watched the show but I have heard good things about the songs.